Here is a batch of machined parts for a Gate Slammer dual slalom frame in progress. 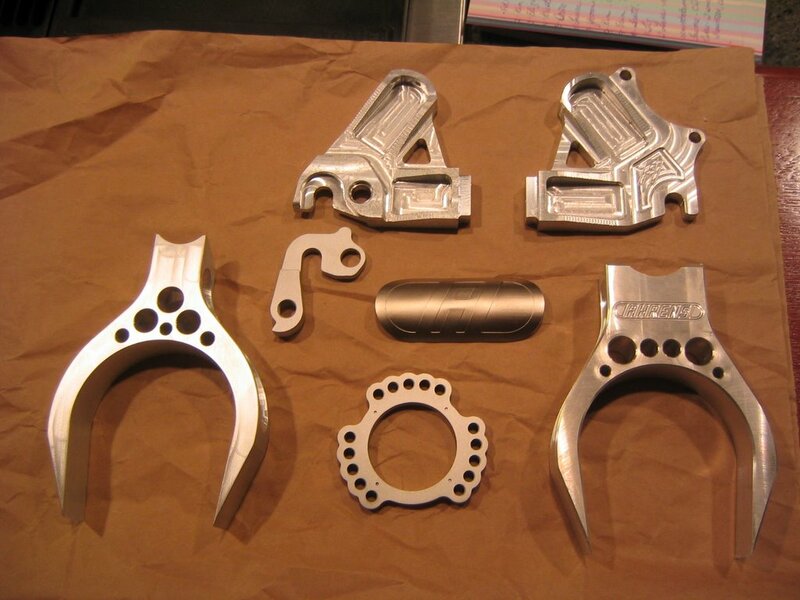 All parts are CNC machined from 7005 aluminum....except for the head badge and hanger which are made from 6061. The rear triange components will be welded to rectangular stays for superior rigidity.